1. Education paradigms are shifting to include online learning, hybrid learning, and collaborative models. 2. Citizen science projects increasingly provide formal students and lifelong learners the opportunity to participate and learn in real STEM projects. 3. As the abundance of resources and relationships are more easily accessible via the Internet, we are continuously challenged to revisit our roles as educators. 4. Increasingly, students want to use their own technology for learning. 5. From rapid prototyping with 3D printers to building simple circuits and robots, “Making” is now more affordable and accessible than ever. 6. 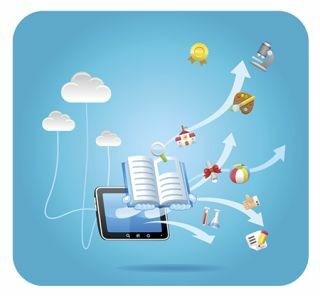 Cloud-based tools are enabling rapid innovation across educational environments. 7. Computer-based assessment and feedback, along with ICT support for personalization, are becoming increasingly important. 8. Openness—concepts like open content, open data, and open resources, along with notions of transparency and easy access to data and information—is becoming more valuable. 9. People expect to be able to work, learn, and study whenever and wherever they want. 10. Massive open online courses are being widely explored as alternatives and supplements to traditional university courses, especially in STEM+ disciplines.